March 14, 2016 (Rahway, NJ) – Hannum’s Harley-Davidson today acquired Liberty Harley-Davidson marking Hannum’s first dealership in New Jersey. 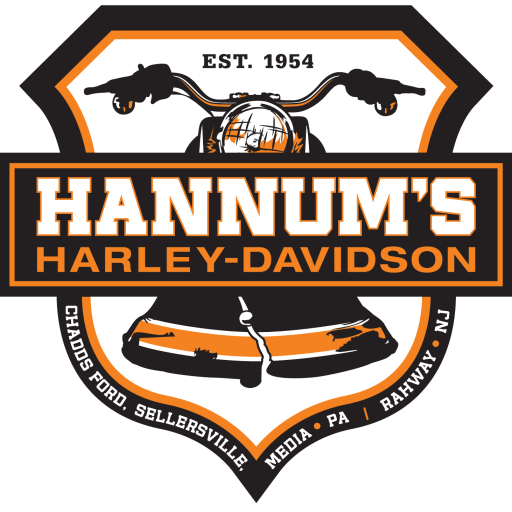 This family-owned business established in 1955 also owns and operates dealerships in Media, Chadds Ford and Sellersville, PA. Renovations are already underway and the newly titled Hannum’s Harley-Davidson of Rahway will open on FRIDAY, MARCH 18th. Just steps away from the NJ Transit train station in the heart of Rahway, the 25,000 square-foot two-story building at 12 W. Milton Avenue will house hundreds of new and used bikes and have full sales, service and parts departments with an experienced and knowledgeable staff. Plans are underway for early summer grand opening festivities, multiple bike nights and Hannum’s Hits the Road appearances at events around the area. More information will be available on www.hannumshd.com. Follow Hannum’s Harley-Davidson on Facebook, Twitter and Instagram. I’m sorry to hear about your experience and while some of the staff have remained we feel very confident that we could earn back your loyalty if you gave us another try under the new ownership. Hannum’s philosophy is that the customer is always right and we go out of our way to maintain a positive, upbeat, fun and friendly environment every day. We hope you consider giving us a second chance and if you ever have a less than satisfying experience don’t hesistate to let us know. hannums@hannumshd.com – Thanks! NextHave you checked your helmet lately?